The Micromax Health product range has been designed with the end-user in mind – at the practitioner and patient level. Our medical devices are designed for the unique hospital environment. Our entire product range is medical-grade. 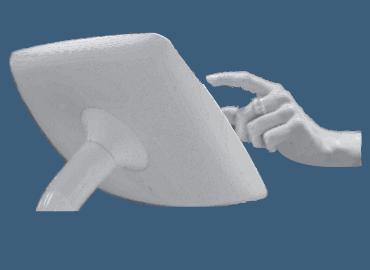 This gives hospital administration, doctors and nurses the confidence that they are using a computing device or accessory that will help improve patient outcomes rather than hinder them. Full medical certifications. To view a full list of these click here. Micromax Health provides medical IT devices, medical-grade computers and consumable products to various departments and specialties within public and private hospitals. We have various solutions available for the operating theatre, accident and emergency department, ward, nurses, trauma care, orthopaedic surgery, biotech laboratories, pharmacy, laparoscopic surgery, gynaecology and obstetrics, plastic surgery and many other surgical specialities and departments. Public and private hospitals around the world that use Onyx medical-grade IT products. 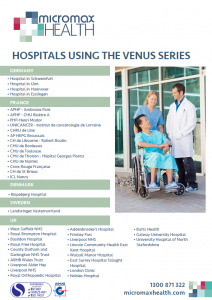 Download our fact sheet – Hospitals using the Venus series. Micromax Health provides medical-grade IT devices and solutions to public and private hospitals across Asia Pacific.  We also have an Australian-based Warranty, Repairs and Support Centre.